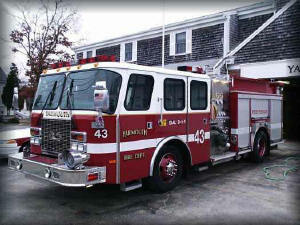 Yet another public safety department – Yarmouth Fire Department of Cape Cod Massachusetts – has chosen the Horizon EME CAD system as the solution for their dispatch and emergency management needs. The delivery of Symposium’s complete Horizon EME CAD will represent a landmark occasion for Yarmouth, as all dispatch has traditionally been handled manually using paper. As well, it will also represent the first time that Yarmouth has enjoyed seamless one point of access to all the important response-based information, via Symposium’s integration with the FIREHOUSE® RMS and Pictometry® Visual Intelligence system.